I've said it before and I'll say it again, vacant land is one of the most overlooked and misunderstood real estate investments in the world. It just sits there and nothing happens. It's an unfortunate misconception because the truth is – vacant land is capable of producing some serious cash flow and it's one of the best investments on earth because of its hands-off nature and versatility. I LOVE the fact that land just sits there and nothing happens. The simplicity and stability that comes with owning the right piece of land, purchased at the right price, can far outweigh the myriad of problems that come with any other type of real estate. If you've overlooked raw land as a viable investment opportunity in the past, you need to take a few minutes and get educated about what land is all about! Forget construction! Forget renovations! You don't need to be an expert or know anything about how to rehab a property yourself. In most cases, you really only need to know one thing: “Is the property suitable for building?” As long as someone else can build on the land if/when they want to, a huge part of the battle is already won. 2) Raw Land is a “Hands-Off” Investment. Have you had enough of dealing with tenants, toilets, bugs, mold, lawn care, leaking roofs, bursting pipes, broken furnaces, and the hundreds of other issues that come with owning buildings? Vacant land doesn't involve ANY of those things. Once you buy it… it sits there, it behaves itself, and nothing happens. 3) Statistically, Vacant Land Owners are Highly Motivated to Sell. Why? Because vacant landowners (by default) are always absentee owners. When a person doesn't live inside of (or even near) the property they're trying to sell, there is less of an “emotional connection” – because it isn't their primary residence. In many cases, you'll find that these sellers are willing to sell their land for pennies on the dollar – simply because they don't live anywhere near it, it's not producing any income for them (because they don't know how to optimize their land correctly) and as a result, they are much more apathetic about it. Find these people, and you will find some incredible deals. 4) Land Investors Have Very Little Competition to Deal With. Are you tired of dealing with such stiff competition on every property you try to buy? Are you sick of getting outbid on every good deal you're lucky enough to find? Well, guess what… there is very little competition in the world of raw land investing. You see, most real estate investors have their minds stuck on things like houses, apartments, commercial property and the like – because that's what everyone else does. Most investors don't understand the superior benefits that come with land and this can definitely play to your advantage. 5) Land Investors Call Their Own Shots. When you buy vacant land the right way, it's easy to buy each property with your own cash and completely avoid dealing with banks and mortgage companies. 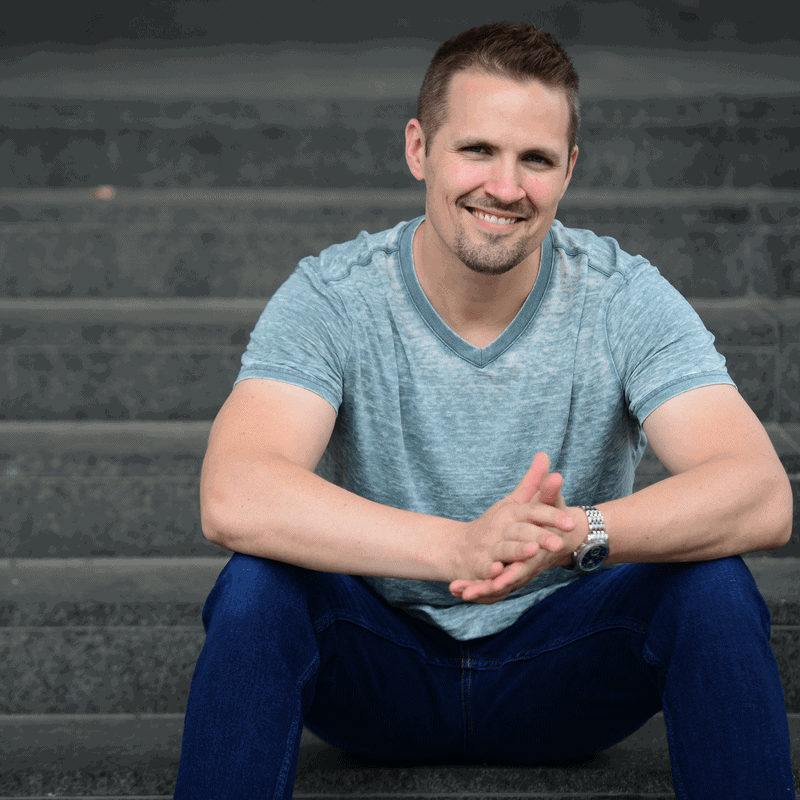 When I got started as a land investor, I had $3,000 to my name and to this day, I have never had to borrow money from a bank. Ever. When you know where to look for great deals on land, it requires very little start-up capital to get your business up and running. 6) When You Learn How to Research Properties Effectively, you can Buy and Sell Vacant Land Properties Without Ever Seeing Them In-Person. In 2011, I bought and sold a parcel of land and grossed over $44,000. The entire process took me 5 months from start to finish and to this day, I've never actually seen this property with my own eyes. Everything was done virtually, using the tools that you and I have available for FREE online. The beauty of land is that it doesn't involve any structures. This means the inspection process is VERY simple – and if you're doing the right research, you can easily buy your properties without ever visiting them in person. 7) Add Seller Financing to the Mix and EXPLODE Your Income Potential. When you combine vacant land with the power of Seller Financing, it's a match made in heaven. It can open up the doors to finding MANY more buyers because most banks are very hesitant to lend money on vacant land. Due to the scarcity of “easy money” financing, a land investor can use this to their advantage by charging a higher-than-market interest rate and many people will gladly pay it. Seller Financing is also a great way to create multiple streams of passive income that act like rental properties but come with virtually none of the typical headaches that rental properties are known for. 8) Land is Very Inexpensive to Own as a Long-Term Investment. When you buy a piece of land for the right price, there are no mortgage payments to make, no utility bills to pay, the cost of property insurance is nominal (if you have it at all) and property taxes are extremely cheap. If you want to park your cash somewhere and forget about it, vacant land could be exactly the investment vehicle you're looking for. 9) Land Gives its Owner Peace of Mind. Think about it – land is a long-term, tangible asset that doesn't wear out, doesn't depreciate, and nothing can get broken, stolen or destroyed. Put all of these benefits together with your ability to buy it for next-to-nothing… and can you think of a better combination? 10) They Aren't Making Any More Of It. Most people don't think of vacant land this way, but the reality is that land is an extremely valuable resource with limited quantities available. Especially when you purchase land in the path of growth, you will find yourself with a finite asset that a lot of other people want to get their hands on. Stocks, bonds, mutual funds, and 401Ks all make sense in certain scenarios, and so does land. If you go into this with the intent of holding the right property for the long-term, it can make a lot more sense (and be a lot more profitable) than any other retirement vehicle out there. I'll be completely honest with you. Land investing is without question, the most powerful strategy I've used to build my real estate investing career. I've bought and sold hundreds of vacant land properties and generated a lot of passive income by selling them with Seller Financing. After running the REtipster Blog for a few years, a lot of readers had asked me to put together a comprehensive land investing course, so they could learn all the basics of how my business works from start-to-finish, so I finally did. The REtipster Club is a paid membership website that offers access to a full-blown, 12-module course on how my land investing business works (with all-inclusive access to my tools, videos, calculators and more as part of the price of admission). If you're looking for an in-depth, step-by-step guide on how I managed to skyrocket my income on a part-time basis and quit my job through the power of land investing, this will show you how it's done. Now obviously, I wouldn't recommend pulling the trigger on anything like this unless you're ready to take it seriously and treat it like a business. If you think you've got what it takes and you're ready to dive in, I can tell you from personal experience that this is an investing strategy that works (trust me, I've got a lot of big checks to show for it). Come check it out – I think you'll like it! please i would like you to educate me more of land investing opportunities. Hi Julius, thanks for stopping by! What exactly would you like to know? Hi Gonzalo – check out this blog post. I should give you a primer on what seller financing is all about. Thanks for the info Seth…another question I have for you is that I have never done real estate ever and hardly no anything about it,so where is it you would say I need to start to get going? My type of work in the oil field here in west Texas slowed down on me and I want nothing with that anymore I’m out and I want to stay out and do something else with my life.. When purchasing land how else are you profiting other than reselling with seller financing? Hi Kim – there’s also selling for cash. The benefit is that you’ll get all of your money immediately. The down side is that you won’t get quite as huge of a payout (though it’s usually still pretty big). the other way to make money with land is to hold it for its timber value I own 42 acres in Alabama that has over $30K in timber value once it matures in 5-10 years – once that timber is harvested, I can replant and my kids/grand kids can have a nice profit from future timber sales – or market increase. That’s actually a great point Andy. I’ve never gone through the motions of harvesting timber from my properties, but that’s certainly a powerful way to make some additional profit from a land deal. Thanks for sharing! In uganda the most profitable way of getting huge money in land business is through buying large piece of land and subdividing that land and sell the small plots for profits , it’s easy and quick way earnings in land business in Uganda. While the information is collected it does not conduct the transaction but rather redirects to Jack Bosch’s university site. Please advise where the Land Profit Generator can be purchased or whether you offer an alternative. Thanks for all the educational content offered on Retipster.com. Thanks for letting me know, and thanks for buying through my link! THANK YOU!!! I’m orginally from the Philippines and moved here in the Atlanta , Ga. 23 years ago, married for 14 years and have 3 children. I was a stayed home mom since for 14 years. After 5 years, I accumulated 6 morgage free properties, two of which are rental properties that I bought from foreclosure and remodeled it by myself for nine months and the rest are vacant lands. I got all bad comments about my vacant land properties most particularly with my new husband. I said exact the same thing to him and to everyone else who are negative about my investements. I really enjoyed your insights a whole lot. I’m now teaching my children the same way I accumulated assets without debts. That’s awesome Monet – thanks for letting me know! Awesome story, Monet. It’s funny how many naysayers there are out there. When people say things like, “it’s not that easy, or everyone would be doing it”, I like to point out that if everyone thought that way, then no one would be doing it. It inspires me to see that someone else bootstrapped some real estate despite others lack of confidence. Great post! Been reading a lot about buying empty land. Thanks for the info here! Awesome, I’m glad you liked it – thanks! Hey Seth just purchased the Land Profit Generator. I totally like this type of real estate investing cause I dislike having so much debt just to start investing. And I also like the idea of investing were many people are not investing. The best buying opportunity is when no one is looking. Have you had any deals with 50 acres? Hey Mario – congrats! I think you’ll enjoy the land biz, it’s a great opportunity to dive into. Personally, I haven’t ever owned any 50 acre parcels outright (though I’ve put a few under contract for assignment before). Sounds like a whopper of a deal – assuming you can get it for the right price! Buying land at discounted price and sell it with owner financing, what a great way to create passive income! Sounds good and easy. May I ask if I set my goal to bring $2000/mo passive income, how long will it take to reach the goal if I consistently do the marketing? Is this goal realistic? Hi Richard – that’s a bit of a loaded question because it depends on a lot of different factors. Is it possible? Absolutely. How long will it take? It depends on how much you want to spend, how much time you have to invest into it, how good of a job you do with marketing (and each of these things are HUGE topics in and of themselves), and of course – how lucky you get (because honestly – luck really is a factor… and the more you invest into it, the luckier you’ll get). Am Nigerian, how can I do the same thing in my country. Honestly – my expertise only really extends to the United States. I’m sure there is a way to do it in your country, but I’m not the expert who knows all the ins-and-outs of how the system works in your part of the world. I appreciate the question, but unfortunately I just don’t have the answers you’re looking for! I was wondering if you could help me. My name is PJ Pahygiannis and I am an up and coming real estate investor. I am currently looking at a 2.27 Acre piece of land in North Nevada, in Montello and was wondering if you could tell me a little about the area. My interest is to lease this property, specifically to hunters in the area as I have read that Bird Hunting is popular in parts of Nevada. The land is on Redwood Street and Sage Drive. The parcel ID is 011-206-010. The property is valued at $2,950. I was wondering how much cash flow this piece of land could generate if it was leased, as I am financing it for $75 a month. Thank you so much for taking the time to share your experience and success with us, I’m very exited and actually will love to do this as apart time job, I think is a great way to educate the commend people, the regular Joes that they can also benefit from Real Estate investment with out having to have 100s of thousands of dollars to invest and that especially today is an amazing time to invest on Real Estate since the market is changing and prices are coming back to normal. ( by no mean 2005 lol ) You cover a lot on the buying part of the business, can you please give us or can you please e-mail me the best ways to then advertise and created buyers for this properties? Thank you so much for all the articles, I’m learning a bit more every day. How many lots you think in general is a good number to keep as inventory to pay your bills with this bussines, and when it comes time to sell them wish is the #1 advertisement way that works for you? Hi Joe – Craigslist has been the best advertising/selling medium for me, hands down. Hi Seth, I am Portia from South Africa, Durban. I have been reading your articles and I am very much interested in land investing. I would like to know what are the benefits of investing n how much should I at-least have to get my business up and running? I am very eager to secure my future in this kind of investment. Hi Portia – thanks for reaching out! Personally, I only had a few thousand dollars to invest when I got started (you don’t need a ton of capital to get off the ground, but you do need to spend your money wisely – especially in the beginning). As for the benefits, I like the fact that land is low-maintenance, inexpensive to buy and hold (in most cases anyway) and it’s a very UNcomplicated type of real estate. The seller financing piece is also a huge perk (more on that here: https://retipster.com/why-seller-financing-makes-sense/). I JUST bought my first chunk of land ever (hence the search that led me here, ultimately). Have you tried, or had luck with renting the space for people to just store boats and trailers and RVs.. Is that even legal, or would that turn me into a business I wonder. Anyway, my land happens to sit, tucked away surrounded by trees, but right inside Orlando FL, a very busy suburb! So Im sure the demand for that kind of thing is there..
Hi Nicholas – congrats on your first land purchase! You could potentially do that with your land – but it would depend on the zoning of the property and/or if there are any deed restrictions that would disallow this kind of thing. To find out, just call your local zoning administrator and find out what your land can (and can’t) be used for. You might even tell them what your specific plan is and find out if there are any problems with your intended use. Hi my name is rafhat farooque. I have looked and trying to do my research about land investment. So far I have yet to find anyone talking about what type of land is a good iinvestment. Should I invest in vacant residential land parcel, which I see a lot. Plz help me on what exact type of land and how much land would be a good investment for a start. Hi Rafhat. I think you’ll find that the easiest and most plentiful opportunities are in residential vacant lots (there are a ton of them in the U.S. and all over the world). These are relatively inexpensive and have the least barriers to entry (and this is still mostly what I pursue today). Hope that helps! Would you suggest working with a local realtor to get properties or do you typically utilize the internet to find properties? Also, I’ve found some small lots of land that are selling for just a few thousand dollars a piece and I’m wondering why other investors haven’t already bought them up? What types of things should I be looking for in these properties that might explain this? Hi Josh. 100% of the best deals I’ve found have been through direct mail and through my buying website. If you’re finding that most lots in an area only going for a few thousand dollars – this is a good indication that any property you buy will probably sell around the same price range (unless there is something really remarkable about it). It’s important to know how to value land and how to spot potential problems, both of which I’ve talked about quite a bit on this blog. Hi! I really enjoyed your points here and I liked the video. I was wondering if you have any advice for a new investor and how much you would recommend spending and where to look. Any resources would be cool. I have a piece of land that I want to invest on it. They asked me to sell it for cheap, I do not want to do that. Can you give me some info and Help me to do something with this land? Do you buy in subdivisions with HOA? These have thrown monkey wrench on several deals. Is there a certain type of residential property you won’t buy or just anything you can buy cheap enough? Hi Patrick, I know what you mean. HOAs can really throw some complexities in the deal. My willingness to buy in HOAs generally hinges on what the annual fees are and what kinds of deed restrictions are involved. Sometimes these deals can be worthwhile and sometimes they just aren’t worth the extra hassle (even if you get them for $1, the fees and other issues can still kill the deal). It’s one of those multi-faceted issues where you have to look at the many different pros and cons that come with the property. I wish there was a simpler answer, but it all depends on what’s involved with the deal. I loved this post and having just bought a beautiful piece of Caribbean waterfront in Great Exuma I really feel we have done the right thing. I am pretty sure I will build on it at some point but the price was great and it’s a far better place for my money than anywhere else at the moment. That’s awesome! I’m glad you were able to find the right piece of land Heather. Thanks for sharing! I have never considered investing in vacant land. That was then; this is now, thanks to you. Went to Agent Pro, ( which I am using re: profiles and love. ) and found that they only offer RURAL AND AG for land searches . What about lots in urban areas? Your thought? Hi Steve – I’ve found that different counties offer different classifications (it all boils down to how the county’s zoning department classifies properties throughout their jurisdiction). So if you aren’t finding exactly what you’re looking for it one county, keep checking around in some other ones. You may get lucky! (and if not – it sounds like you’ll be stuck with the limitations of how specific they’re willing to get at the county level). Good luck! Thank you for sharing all this great info. Absolutely Michael – thanks for stopping by and checking it out! Seth, thank you for the information! I am very passionate about creating passive income for my wife and I… I have dabbled in P2P lending… Dividend Stocks… etc. I REALLY want to get into real-estate…. However, I am currently in the stage of reading anything and everything I come across to help me decide when ( and in what) I am going to take the leap! In the meantime, would you mind giving me some advice? Hi David – hang in there buddy! My wife and I were in the exact same situation as you and yours at age 28. Passive income is totally feasible for you to create, but you’ll want to get started on it sooner rather than later (and luckily, time is on your side). If you’re looking to go the rental property route, you might find this post helpful. If you’re looking to get into land investing, check out my “quick start” guide right at the top of this page. Seth, I have thoroughly enjoyed ready your content material! I live in S. Carolina and sell land. I am associated with a small group of land specialist (RLI). I speak to numerous people worldwide on a daily basis. Land is a must have investment! Investing in land can be obtained no matter where you live in the world! When investing in land, how do you decide what state/county/city to start looking into… !? Thanks again ! Your site is great and very helpful! Seth – I’m impressed with your passion for the Real Estate industry! Thanks Trey – I appreciate you stopping by! After reading all this questions and answers,i think i have gained a lot and i must continuing buying land in my country, 2013 i bought a plot 15000 dollars and today its going for 25000 dollars.Good job Seth and may God add you more and more for sharing with us. That’s awesome Paul! Glad to hear that investment is performing well for you. Thanks for sharing! I purchased the Investors Tool Kit using your link. Just to let you know. Thanks for letting me know Sean! Great site! I just wanted to throw my name out there if anyone is looking for cheap build able lots that will appreciate. We specialize in 8 counties in Florida and we purchase anywhere from 100 to 400 lots per month. If anyone is looking to buy, I would love to help them! We source our lots directly from the land owners and guarantee clear title. We also sell at wholesale prices! That’s great to know Robert, thanks for sharing! I recently purchased a lot for $3,800. It was appraised in 2014 for $3,800 but it appraised for $6,700 in 2013. I’m still waiting for the 2015 appraisal. Based on your experience, do you think I can sale it for the 2013 appraisal of $6,700? It’s a residential property in NC. Hi Irving, when it comes to “appraised” values on land, this really is a very subjective thing, and in most cases – this kind of number is anything-but-concrete. The truth is, you’ll never get a guaranteed value on any piece of land, but there are a handful of things you can do to narrow it down to a ballpark value. Hey Seth how are ya? Judging from all the positive comments here, it seems like you’re the real deal and really know what you’re talking about. I’m 24yrs old. I have a full time job that pays decently, but with student loans and having a hard time finding work in my field I need to do something different. I’d really like to invest in something that can generate passive income. I do whatever research and work necessary because this seems like it’d be worth it. So how can I youngster like me get started? How much cash would I need and where would I look for land to buy? I live in Atlanta GA by the way. Hi James, certainly! I was actually in a very similar position to you when I first got started. I’m actually working on putting together a very detailed “action plan” right now (should be finished in June or July of this year). In the meantime, if you’re just looking for a “quick start” guide of sorts – check out my answers to the first question on this page: https://retipster.com/faqs/ It includes several links to a number of detailed blog posts that I think you’ll find helpful. Hi guys . I own 18 acres in a small southern maine beach town. Its hard and soft wood and uncleared with a small right of way started off the main road. Any suggestions? I feel like its going to waste…. Im 35 , no kids and not married. Any thoughts ? Seasonal cottages? sub divide? or contact a developer ? Hi David! If it was my property, I’d probably list it for sale using some of these guidelines… you never know how much interest there might be until you just give it a shot. If nobody seems interest, you can always try contacting developers directly to see if they might have any interest in building something there. Some very interesting points. I agree that you don’t need to do anything with lands. But you can do somethings to benefit more from your investment. For example once you buy a land just clearing it and flattening it ( so it will be ready for construction ) will significantly add value to your original property. The cost of clearing usually pales in comparison to the increase of the price. Also if you’re thinking of a long term investment ( 10-30 ) years then growing something is also a great option. For example Teak matures in about 15 years and fetches a very good price around most parts of the world. And after the initial stage you don’t have to do much about it either. Right on Ivan! Though I must say, it does depend on what the intended use of the property is, and what the general vicinity provides (i.e. – will people want to use this property for building a home? Farming? Hunting? Drilling?) You would have to know the “highest and best use” for the property before taking any action like this – but generally speaking, I think you’ve got a great point! These are all great reasons to own land. If you have any interest at all in ever using a plot of land then maybe you should consider doing it now. You won’t have to do anything to it until you are ready and at the very least, you can sell it one day. Thanks for the advice. Absolutely Drew, that’s a great point. Thanks for sharing! Is investing in land or savings account in the long-term profitable considering all the annual rates and outgoings to maintain the land? Hi Binoy, I think it just depends on what kinds of costs are necessary to maintain the land (which usually isn’t much). The only bigger ticket items to be aware of are the property taxes and any annual assessments or HOA fees (if any). By and large though, I think you’ll find that most vacant land properties are VERY inexpensive when compared to other types of real estate. Great question, by the way! Thank you Seth. Much appreciated. I’m thinking of following your method for investing in land. The problem is I live in Australia and from what I can tell we can’t purchase tax delinquent lists due to privacy laws. I could invest in the US but because of timezone differences it would be a real pain to handle phone calls in the middle of the night regarding offers. I’m curious to know if you’ve completed any purchases/sales via email only and/or if you think it could be done? Hi Andrew – thanks for stopping by the site! Actually, you don’t necessarily need to work the whole system through a tax delinquent list – I’ve just found that it’s one of the best ways to cut-to-the-chase and get results faster. I know plenty of people who find motivated sellers in other ways (and not to mention, most of the submissions I get on my website aren’t tax delinquent – these people were just looking for an “easy out” when they found my website). Don’t be afraid to explore some of the other options – it’s more about being in the right place at the right time than anything. I’m not sure exactly how the systems work in Australia, but I have to imagine there are still A LOT of commonalities with how things work in the U.S.
1. I recently decided I am going to purchase Jack Bosch’s training program. Do we get it at a discount if we purchase it through your link?? And do you recommend his program for someone starting out? 2. I am in the process of generating my buyers list. I will most likely use some of the strategies you outline in your blog. How do I market the website after it is up and running if I don’t have any deals or recently sold properties to post to attract buyers? Hi Cameron, thanks for stopping by! 1. No, there is no discount for buying Jack’s course through my link above. Yes, I do think his program is a legitimately helpful resource for starting out. It’s the same one I used in the beginning and it had a huge impact in getting me started in the land business. Good advice. I think buying a land is a good investment. Here in the Philippines, you can gain profit, by leasing it for cell site company. You can also sell in the future for a reasonable price. Thanks for sharing your thoughts with us. Just checking, I have four lands in florida and 2 of them are easement blocks. how can I capitalized this and how can i create passive income out of it??? Hi Niraj – have you considered selling any of them with seller financing? You could also play with the pricing on each on to open the doors to more potential buyers. I inherited 17.93 acres located in Indian Trail, NC when my parents pasted. The property is completed wooded except for the area surrounding the 2 homes located on the property and it also has 2 barns that are still standing and also a rock well house that was used by my Grandparents when they owned the land. The land has plenty of road frontage and a housing development borders on the back property line and homes on each side of the left and right property lines. Google has not updated the view of the land since my Dads passing and he owned at that time about 100 cars that were sitting on the land out back of the barns. He loved to work on cars and after my Moms passing he lost interest in traveling so he worked on cars for his friends, it was his hobby and he was very good at it. He used one of the barns as a car shop. When Dad needed a part for a car instead of just buying the part he would buy the whole car, his specialty was VW which over a ten year span he collected about 100, I guess you would call him a hoarder. All of the cars are gone now. My question is I am currently living in my parents home and my siblings are wanting to put the land up for sale. We have spoken to several real estate agents about selling the land and they have suggested listing it for starting at $65M per acre and taking no lower than $45M. We were told that whomever bought the land, which more than likely would be a developer, would not pay anything for the home but give us the option of moving it off of the property. They also said that it could take maybe 5 to 10 years to sell. Me and my youngest brother are in no hurry so time is no factor, my oldest brother has passed and his wife is financially stable so she is ok, but my other brother wants his money now. How would I go about locating a investor who would be interested in buying his share of the land. The property is only going to increase in value because the land is developing on each side coming towards our property. Any input would be greatly appreciated. Thanks in advance for your time. I’m still young and am very new to the real estate business. I’m currently in the process of investing in a property,though not vacant land. I heard from a friend that vacant land is a smart way to invest, and he recommended your site. I’ve been reading up on your blog for a couple of months now and I see a lot of good information. The thing is, I don’t have much money right now, and so I was going to ask your advice on a few things concerning a possible investment in vacant land in the future. 1. I downloaded you Investment Hacks and am considering buying AgentPro247. What exactly does a prescription to AgentPro247 help me with? 2. After narrowing properties and finding potential sellers, I believe you explain that it is smart to send the property owners a kind of pitching-postcard, naming my offer for the property. How many sellers would you recommend finding my first time around? 40? 30? 3. Are there any certifications or permits I must obtain before investing in property, both to buy and sell, or lease for the short term? If so, can you give a ballpark figure for how much these permits might cost? 4. How much money do you think I would need, accounting for out-of-pocket costs as well as the property, to get started with contacting property owners, doing research, sending out postcards, and buying the property in total? 5. Do you have any additional advice or tips for a first-time vacant land investor to get started and work through the process? 1. AgentPro247 is mostly useful for property research and pulling lists (thought I’d probably recommend the former over the latter). 2. On your first direct mail campaign, you’d probably want to start by sending out anywhere from 100 – 300 mailers (that’s what I did anyway). 4. When I got started, I had approx $3K to play with. I probably wouldn’t jump into this until you have at least a couple thousand dollars of seed capital (but that’s just me – not everyone feels this way). 5. It sounds like you could probably use some hand-holding as you’re getting started (most people do, because there is a lot to learn). If you’re on a budget (as most of us are), you might want to check out the 12 week land investing course at REtipster.Club. I think this could really be helpful for you – as this contains ALL of my insights on the matter (with a bunch of free downloads and other helpful tools to help you get started). Thanks again for stopping by the blog. I’m glad you’re finding at least some of this stuff helpful! Thanks, Seth. You’ve been very helpful. I was way off on the direct mail thing. Thanks a lot for the guidance. I can’t wait to get started, and I’ll definitely consider taking your 12-week course. Thanks again, Seth. I am trying to figure out how to sell a piece of property that has a dilapidated old manufactured home on it as if there were no house on it. How could I find investors that would just look at the land and forget the the old shack? Hi Nolene! One option would be to pay for the demolition or removal of that old shack yourself (this would obviously fix the problem). Another way would be to use the old shack to your advantage, since there’s technically a “dwelling” property property, which makes it “improved land” (which could be difficult, depending on how bad of shape it’s in). Or you could just offer the buyer an instant credit/discount off the sale price, so they can pay to have the structure removed (assuming they even want to). Great list. I personally do not know of many investments that are better than investing in land and property. My favorite reason that you list is, “With Vacant Land, You Don’t Need to “do” Anything to the Property.” This is a huge bonus and very alluring. Thanks for sharing your thoughts Dean. I agree – in MANY ways, land is a no-brainer investment. I was lucky to find your website today when debating whether to buy a 2.2 acre lot in my very small town for 35k. This could potentially be an investment property but primarly I am looking to build a house on this land and purchase the 2.2 acre lot for sale next to it for the same price. The owner is willing to carry the papers for a 5k down payment. It sounds very promising to me. Is there any advice you could give while I attempt to make this purchase? Hi Chandra – that sounds exciting! Without knowing all the intricate details of your detail, my biggest suggestion would be to make sure you understand the true market value of this property. Land can be very tricky to establish this number, so the closer you can get to understanding this, the better off you’ll be. You can find a lot more on that subject in this blog post. Hi Mike, absolutely. There are actually a few answers to that question – the first is to understand how to determine the actual market value of a parcel of land (which I explain here). Then you need to understand how to find motivated sellers (which I explain here) and offer the right kinds of prices (which I explain here), using the right kind of contract (which I explain here). 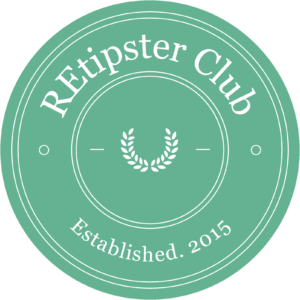 If you want even more step-by-step details on how the WHOLE process works, feel free to check out the REtipster Club. I came across this website and had to write. I have worked with another large land investing group and also individuals selling land. While I am not a land investor, I work with many of them to help them reach their goals. One of the biggest thing I’ve heard about potential buyers of land is that they want to see where it is, what’s around it, how close it is to something, etc. Many investors put up Google map images with their land pictures to help potential buyers get an idea of those features. But nothing shows vacant land better than a flyover. I produce Google Earth flyovers of property that shows the property from as far back as a multi-state view down to a closeup of the property. I fly all around the property, show mountains, water, nearby towns, roads, basically anything that is a selling point to the property. I invite everyone to check my website at http://www.landmappingservices.weebly.com to see what I offer. I have been mentioned on a large investment group podcast (a link to that podcast is on my website) and have many clients from land investment groups and real estate firms. For the price of going out to dinner of at an average restaurant, you can have a flyover of your property to link to on YouTube or embed in your own website. I hope to hear from many of you looking to meet your financial goals through land investing! That sounds like a great resource Bob – I can totally see the value in something like that. Thanks for mentioning it! Investing in land is a great option to earn passive income. It is a long term investment. The value of real estate properties, houses, buildings and even vacant land! — is going up each and every day. So it’s a good idea to invest in real estate. Question: When looking at land to buy, how do you actually research if the land is in an ‘up and coming’ county…. or how to tell if the land will appreciate or not? If the land isn’t BUILDABLE, is it wise to invest in drilling a well? Ugh. so many questions. Basically, i’m looking at land in a specific region that i think will gain popularity… soon. But I’m not sure how to research it to see if it is currently seeing growth, or if i’m just a bigger fan of this region then the rest of the world is.. haha! Those are all great questions. Have you see this blog post yet? If not, it might be worth checking out – you’d probably find it helpful. It sounds like you’re talking about land banking – and this can be a viable option, but it’s more of a long-term strategy (i.e. – don’t expect to see any results soon). The places I’d be looking at are the counties and/or townships on the outskirts of any large or mid-sized city. Hi Seth! So me and my fiancé are currently looking at buying land to build some property on. To me that seems like the best option. However, everyone I’ve told about it says it is a bad idea. So now that I’ve read your story, I have a question. Would it be a good idea to buy a piece of land now if it’s at the right price? Even if we don’t see ourselves moving out of our apartment for maybe as long as 5 years? Or what if we happen across a home that we prefer have we put ourselves in a pit that we might not be able to dig out of? Thanks Seth. Hope to hear back. Hi Felicia, why are people telling you it’s a bad idea? When I look at vacant land opportunities, I think it’s always a good idea to invest if it’s at the right price (the “right price” being a very crucial part of the equation). When I buy land, I’m getting it for a VERY low price (so low that it’s basically impossible for me to be sabotaged by it, even if nothing goes according to plan). If you buy it for cheap enough, you’ll find that you have a world of possibilities. Have you seen this article yet? If not, it might be worth checking out – as it can help you ask the right questions and determine whether this property is going to meet your needs in the end. I think they see building homes as a huge money pit and much more expensive. I’ve been keeping my eye on some of the realtor sites as well as craigslist in order to find out what prices fit what amounts of acres. Thanks for sharing Seth, I found this information extremely helpful. Investing in land is extremely new to me and it sounds like a very promising investing opportunity. I will be doing more research on your website. Thanks again. Thanks Ralph! I’m glad you found it helpful. If your looking for land to invest in for $6,000-$9,000 in Southwest Florida. Check out our website. I’m thinking about buying some land in the middle of nowhere. Can I just put an ad on Craigslist for someone to park their RV there as soon as I own it? How complicated it is to have one tenant in an RV? Hi John – if the land is truly out in the middle no nowhere, I doubt you’d have any problems with this… but the only way to know for sure is to check with the local zoning administration to make sure the property can be used for this purpose (and in my experience, most properties in the middle of nowhere can). Good luck! Hi Jonathan, thanks for stopping by! That’s a good question, but it’s also pretty open-ended. 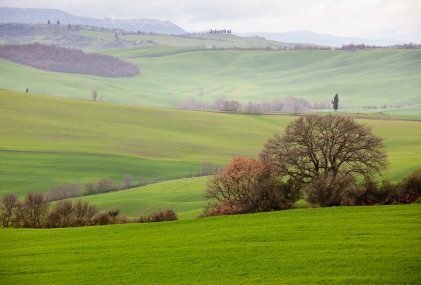 Are you trying to learn something about land investing specifically, or is there something else you’re trying to figure out? If you can get more specific with your question, I’ll try my best to answer it. #9 shouldn’t have an apostrophe. That drives me crazy. Thanks for the heads up Grammar Nazi (apostrophe has officially been removed). Glad you’ve got my back! Such a nice video.I additionally Appreciate that empty area is one of the misconstrued land interests on the planet.But This is a misconception .I had also brought a piece of land and it gives high return in 5 year.. Seriously I have not read blogs, but I watch a video that clears all, the concept of a vacant land..
That’s awesome David – thanks for sharing! Since you have our own 12-week course, how do I choose which to buy, yours or The Land Geek’s? Hi Bethany – that’s a great question. I got some good insights from Mark’s course and I think his and mine bring different elements of value to the table. Mark’s is mostly video-based and his videos are pretty decent, whereas mine includes a combination of text and video throughout. Both courses include all the digital downloads you’ll need, and both of us have online communities (he’s got a FB group, I’ve got a members-only forum on the site). If you haven’t seen this review of his course (which I did back in 2014, before my site was live), you might find it helpful. You can also check out this blog post, which includes a quick look at my course. My impression of Mark’s course was that it a little “high-level” – he hits all the basics you need to know, but doesn’t always explain everything in painstaking detail. Some people like/prefer this, but others might need more in-depth instruction (it’s kind of a personal preference thing, and it depends on what prior knowledge you already have about real estate). I tried to get deeper into the nitty gritty details in mine, so if you’re someone who needs more hand-holding in the beginning, I think you might find more of that in my version (at least, that’s what I was going for). Ultimately – the “big idea” between both of them is pretty similar, with some slight variations in the approach (along with some inherent variations in teaching styles and mediums). Generally speaking, I think we’d both agree on most of the core components of how the business works. Hello, I’m currently trying to sell 9 acres of land in Palm Springs, CA. Few years back some investors were looking to build condos but the deal fell through. Having a tough time finding the right ways to navigate through this process, or even find the necessary educational tools to proceed. Any help? Hi Nick – what part of the process are you struggling with? Finding a buyer? Getting the deal closed? Some other aspect? Hey Seth appreciate the response. Yes I’m struggling to get the process into motion, just navigating my way through the first steps, who to reach out to, the best people to reach out to, etc. Not so concerned about deal closing just yet. Looking for the smartest, not necessarily quickest options. Hi Nick – have you tried creating a good listing and posting it on a free site like Craigslist yet? Just that step alone can have a HUGE impact by letting the buyers in your market know about your properties (this is the #1 way I’ve sold most of mine over the years). If you haven’t done this yet, it might be worth a try. Also, be sure to get some good pictures of your property. Check out this blog post and this blog post for some ideas on how to do that. That’s good to know that if I purchase land that I don’t have to worry much about maintenance. I’ve been considering buying a lot for awhile now, but I didn’t know much about what I had to do with the land after buying it. I think that might be a good investment for me if maintenance really is that simple. Thanks for sharing this info! Hi Theodore – thanks for sharing! There are some places (e.g. – if you buy land in the middle of a city) that may require you to mow the lawn… but other than these rare instances, most vacant lots are pretty much a hands-off investment. Hi Ilham – it’s a totally subjective question and there are many variables to consider. You could sell them for a loss, or you could wait it out – it totally depends on your financial situation and what you’re willing/able to do. Maybe we could do a co-broking arrangement with our properties. Thanks for your valuable reason that why should invest money in land. Great Post! Very Informative and useful tips. Thanks for the comment Garama! Unfortunately, I haven’t done any work in Kenya, so I probably can’t be of much help to you. Best of luck in getting your properties sold! Once Again, Great article Seth. Having done traditional real estate investing and owned rental property in the past I’d say the dealings with land that I have experienced in the last several months far surpass my dealings with homes. That’s awesome! I’m glad to hear it Gerald. Thanks for sharing your experience! I have 22 acres of vacant land what can I do to make the best profit off of it? i am asking again because I didn’t ask to be notified by email when a reply is made. Hi Emmanuel – have you tried listing it for sale yet? No I do not want to sell it I would love to make money off of it so I can buy more property and sell it. I am in the season of researching to find out what would be profitable so I can make money off of the land without selling it. Do you ever get utilities for the property? If so, what is the average cost for utilities? Also what states do you focus on? Hi Andre – in my experience, I haven’t done this… but I think there can certainly be situations where it’s worth your while. Most of my work has been in the Midwest US – but most of the other land investors I know focus in the Southwest US. Be sure to check out this article – you might find it helpful. Hi Seth, how can i get more info about purchasing land? And how much is your course? I found your website through your interview with Mark Podolsky on his podcast couple days ago and like to learn more about land investing. I have been a realtor for over 10 years and mostly in residential. Sold vacant lots when I first started for a year or so and always think dirty lots are GOLD…. for some reason I got into residential and didn’t have an opportunity to continue exploring more on vacant lot side. I was actually ready to go into “wholesaling” in residential but then heard Mark & you on Podcast which had made me thinking if I should go into land wholesaling instead. What would be your suggestions or recommendations as a long term goal? I like to generate residual income not only for myself but also for my kids and seller financing seems to be a perfect way to achieve that goal? Hi Debbie – thanks for the comment! I think wholesaling land is definitely a viable option (though like anything, there are pros and cons to assigning contracts vs. buying and selling properties outright). Seller financing is a great way to maximize your profit and sell properties quickly – however, you’ll have to be alright with not getting all of your money upfront. What would you recommend in terms of buying land in a state where there isn’t much land available in areas where people are looking to buy/build? For example, I live in MA, near Boston. Most of our land is built out in the eastern part of the state. I suppose there’s available land in Western MA, but there’s not much going on out there, and therefore, not much building. Is my perception incorrect, or should I focus on land in a state outside of the northeast where there is more new construction? Thank you ahead of time for your thoughts! Hi Hillary – that’s a great question. What you’re asking about sounds a lot like land banking. Whenever you’re buying land in the path of growth, it’s always going to be speculative on some level (because while there can be some indications of where things are going, nobody can ever know this for sure). I’ve never done much of this kind of investing because I’d rather bet on things that are more certain, rather than “rolling the dice” and waiting for years (or even decades) to see if I’m right. If I were you, I’d probably look at areas outside of MA, where there is more vacant land available and the prices are less competitive… but again, my intent would be to buy and sell immediately – and just reading between the lines, I’m not sure if you’re looking to do precisely the same thing as I would. My name Damien hendersonim currently working full time in a sales role and would like further information buying property and selling. I would be interested in meeting someone in Melbourne to discuss option. Thanks for the comment Damien. Unfortunately, I don’t do much business in Australia – sorry about that! hi Seth,congrats for your good job. May the Almighty see you through. What about property taxes? In most states (including mine) there is this variable to consider on top of the uncertainty that the land will appreciate or depreciate. The taxes can be well over $37 like your video said- one I am looking at would cost $1,000 a year- and the lot is only $20k to buy. I am not a landlord or any serious investor but any general advice is appreciated! Hi Andrew – that’s a great question. While most of the properties I’ve dealt with have had very low taxes, there are always exceptions (especially if a property has a special annual assessment, or if it’s part of an association – the costs can be even higher). If the holding costs are far in excess of what you’re willing to pay simply to own it, then you may want to bypass this particular property for the purpose of land banking or using it on rare occasions. You also may want to get a better understanding for how much this property is actually worth. Is $20K the true market value, or could you potentially sell it for much more than that? If you’re getting it at a price that leaves some profit margin, it could be worth your while to take on the higher tax bill (but again, that’s something you would have to determine). Hi Joao – if you use money from a Roth IRA to buy a property, you would have to put all of the profits back in the IRA after you sell it (and you’d also have to use that IRA to pay for any costs that come up along the way). It has to be totally segregated from your personal funds… so given your situation, I’m not sure if it would be quite the right fit (though it would also depend on your age, and if you’re able to start withdrawing money without any penalties). As for the number of deals you can do – it’s only limited by the funds you have available, and how quickly you can find deals and close on them. Cool video. It’s always interesting to speculate in different areas. Which states have you purchased and sold in? Have you found more luck in certain places? It struck me when you mentioned that other investments like gold and silver are not finite like land is. That’s kind of the idea of gold and silver. Men can’t create more of it. They can only hope to find more of it, but it is finite on our planet. What do you think about vacant land in regards to the Fed raising interest rates, the rising housing and stock market, and wild cards like Fukushima contaminating the Northern hemisphere? Hi Shane – thanks! I’ve worked in several states around the U.S. – and I think it’s possible to find “luck” just about everywhere, though some areas require a different marketing approach than others. As for the issues you mentioned – I think land is always a good investment, but the big variable is the price (it’s only a good investment IF you’re paying a low enough price for it). There are some market conditions (say – the way things were from 2009 – 2014) where vacant land becomes far less valuable than it might have been in a booming real estate market (say, from 2015 – present). This is why it’s important to not overpay, because it could definitely hamper your ability to re-sell AND make a profit. Great questions, thanks for asking! Thanks for the awesome article! I’m considering doing some investing this year as I get some extra savings, and vacant land seems to be an under-valued option by many. Do you look for potential growth in the way of future utility connections, and other items like that, when considering your investment? What would you say is more important- location or potential for these types of hookups in the future? Thanks again for the information in this article, I am encouraged to start looking for land for a future investment! Hi Devina – thanks for the comment! Growth is always good, but I’m usually just looking for undervalued properties – so I can buy and re-sell them immediately for a profit (free equity, so to speak). Very much enjoyed reading your offerings on vacant land investing, Seth. Where are the best places to find vacant land to invest in? Thanks much, Seth! I’ll be there on your next Q&A. Hi I’m interested in land investing by purchasing and holding onto it until value goes up. What I would like to learn more about is “how to research and do your due diligence on the land” do you offer a special course on this? I’d be interested to learn more about this particular subject. Amy advise is greatly appreciated. Thank you in advance. Hi Jackie, thanks for your comment! Have you seen this blog post? If not, you may want to check it out. I do have more info available in the 12 module course that comes with a membership the REtipster Club, but if you’re looking for something free on the blog – that’s article is probably the best thing I can offer. I am thinking about embarking on land investing. I was invited by a friend to see if I’m interested on buying acreage of land in southern CA where the area is currently developing. I know little of owning land properties and what responsibilities that goes with it but it is something that I know that can have benefits in a long term plan financially. Saw this blog of yours when I’m searching about land investing. If I do end up buying a 5 acre land property I’m thinking about leasing it to commercial companies that may eventually put up their business in that area. Is this possible instead of selling the land? What are the pros and cons of this and your thoughts about this? Thank you. Sure, with some properties it could be possible to lease it to a commercial company – but the property would have to meet their specifications pretty well (and this isn’t always a given with most vacant lot… I wouldn’t just buy anything and expect this to work out unless I had a very specific plan in place). Hey Seth, this is a great blog you have and Its sparked all kind of Ideas for me.. After first coming across your blog I ended up buying a good lot in a small college town with big development plans and my lot is right in the mix (a corner lot). The university has already started buying up surrounding properties from people for dirt cheap and I am pretty sure they will try to do the same with me once they figure out who owns it. The rumor is that they want to build a shopping center and off campus housing to aid an overpopulated dorm situation. What advice would you give to get the biggest profit out of my investment? Thanks in advance!!! Hi DJ – sounds like you’ve got a nice lot on your hands! Have you tried contacting the university to see if they have any interest, or are you just thinking of holding it until they (or someone else) reaches out to you? Sometimes sending out a few neighbor letters can generate some interest. You can learn more about that in this blog post. Sure, investing in land is one of the safest investment. There is no fear of someone take your land and run away. It is secure and one of the best part is it value always rises up and will drive you the best interest rate if you are willing to sell it. So, landinvesting is a great idea. Start it today. Seth, how do you check to see if the property is officially a buildable lot? I really liked what you said about having land to keep peace of mind. This is a nice benefit of getting your dream lot for sale since it won’t wear out or depreciate. My brother might like knowing this since he was looking into this option. You bet. The longevity of land is a pretty strong benefit to consider when you’re looking at real estate. I love how you said that there is almost no competition when it comes to buying property or land. This seems like it would be a really helpful thing to know. Being able to ensure that you can what you are trying to buy would be really important to how you treat negotiations. Absolutely. It’s probably the biggest things that attracted me to this business in the first place. It totally changes the game when you don’t have to fight with other investors over a deal. Great Article, I was looking for some really informative stuff from last days and there i got that knowledgeable content from your article. Thanks for updating this information. I’m feeling very spontaneous. I’ve been searching for a home for a few months and stumbled across some great looking land (from the photos). It’s less than $3,000 for .64 acres and would be great for building a cabin, though I would want to sell the land. Do I perform hours of research and risk someone else buying it, or just snag it knowing absolutely nothing about buying land. I mean nothing. Would that be crazy of me to do? The benefits of investing in commercial real estate property includes higher rental returns; as high as 8%. These properties also offer higher rental certainty due to the long-term nature of the leases; somewhere around 3 to 10 year. Lastly, the number of expenses involved are also lowered, since tenants mostly cover the body corporate fees, property maintenance, and insurance costs. It does! Thanks for the test comment Natalie.